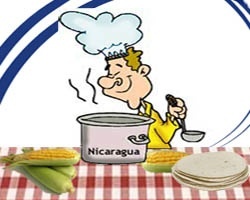 In this section you will find a variety of recipes of Nicaraguan typical meals and drinks. The preparation is explained easily so you do not miss the opportunity to prepare and enjoy these culinary delights. If you have any suggestions or comments, and/or want to send a new recipe please send an e-mail to Recipes All contributions are welcome.